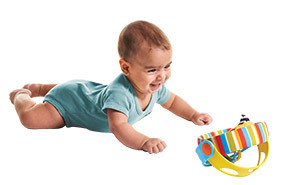 Engaging tummy time toy. 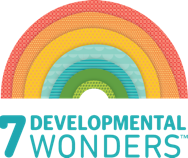 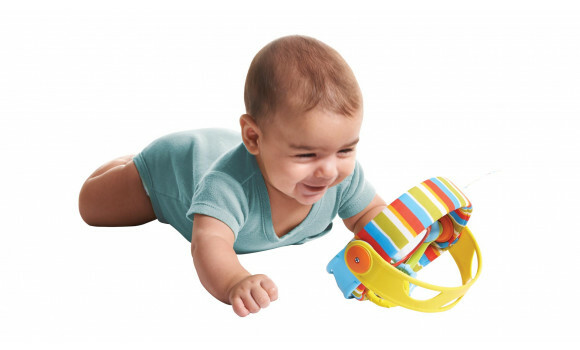 Let your baby explore and enjoy! 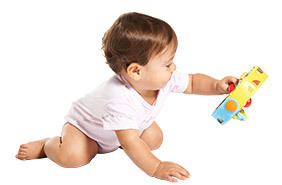 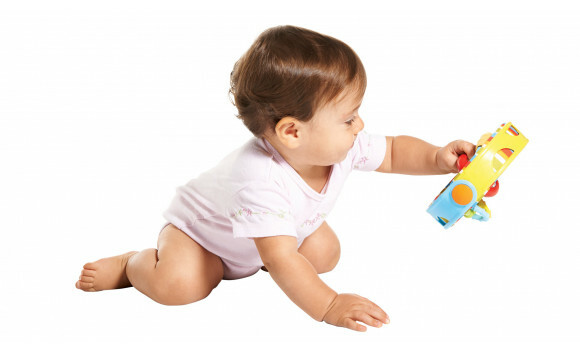 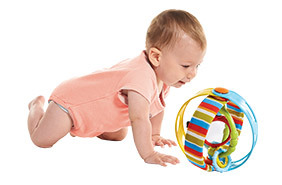 Fascinating crawling toy that encourages baby's gross motor skills. 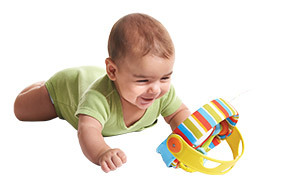 Fun tambourine toy for rewarding joint playtime. 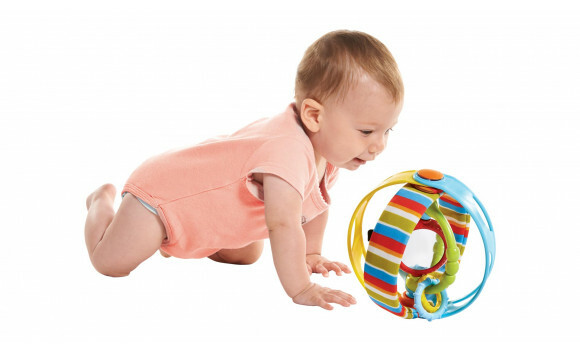 The rolling ball moves and stops, encouraging baby through the first crawling attempts until baby becomes and expert crawler. 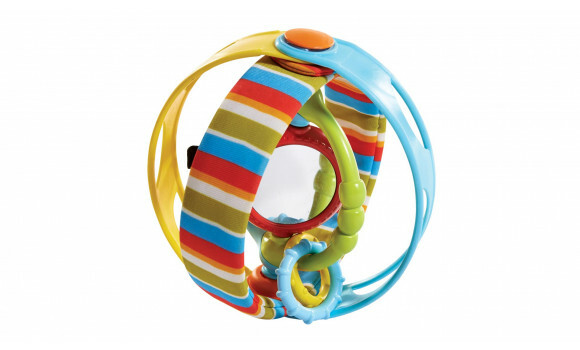 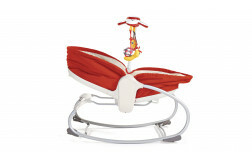 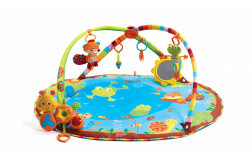 The ball’s structure stimulates baby to turn the rings, rattle the ball, etc. 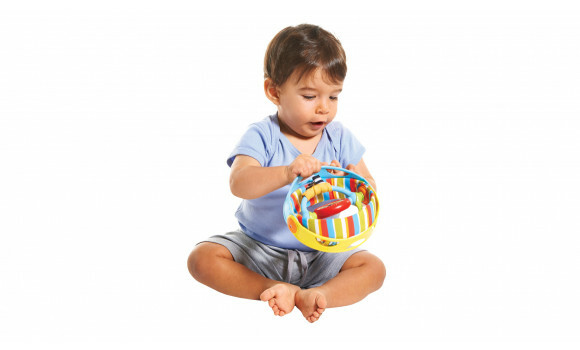 All these encourage fine motor skills and eye-hand coordination. 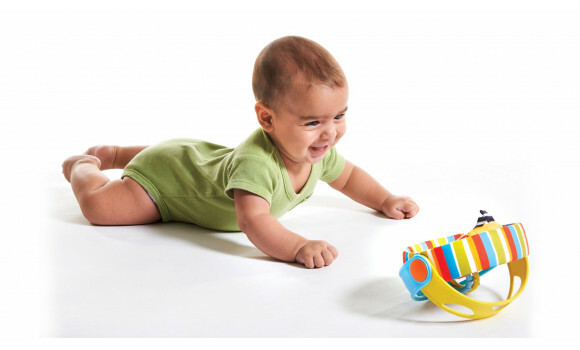 The baby explores the ball and its unique features, opening, closing, turning, and thereby learning.